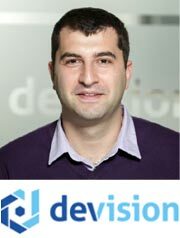 Devision is a company focused on creating unique and innovative solutions that primarily deliver results. For the second consecutive year the company will present ElectriQube - system for predicting, balancing and managing non-balances, manufacturing schedules and reports in the production and consumption of electric power. The product is used by many manufacturers and traders of electricity - HPP, TPP, RES and natural gas. Mr. Nelkov What's new in the ElectriQube System? Over the past year, we have been able to achieve our goals: to make several new versions of familiar products, and to increase the number of customers using the platform. Our team has increased. The newest in the billing system is the client portal and the built-in link to the customs agency. What are its advantages over similar products on the market? The platform provides an opportunity to predict consumption or production, based on historical data, as well as real-time monitoring. I also believe that the advantage is the price-quality ratio. Apart from manufacturers and retailers of electricity, industrial plants are potential user of the product. What would be their benefits? Over the past year, we have been able to apply the monitoring system in several manufacturing plant. The main challenge for them was the time for refreshing data from metering devices. Our team managed to achieve time less than one minute. We also met the high expectations and needs of power engineers. With ElectriQube EnergoPro reduced the cost of imbalances by 300%. How is achieved such a remarkable result? As I said, with the help of our engineers, we have succeeded in refreshing the data under one minute. Software management capability of the production process has led to minimizing the imbalances almost to zero.